Its members work in or are associated with the construction industry. Is all this tree protection malarkey a new idea? Somewhat surprisingly perhaps, the first provision for protection of trees appears in the 1845 Ordinance for Prevention of Nuisances. A $100 fine was imposed for the ‘felling, cutting, destroying, or injuring of any standing or growing tree, shrub, or underwood, any grass sod or turf’. The need of villagers for both fuel and building timber had stripped hillsides of their vegetation, leaving only orchards, inaccessible areas and fung shui groves. By 1865 penalties had been upgraded to a felony crime resulting in prison sentences of up to 2 years, potentially with hard labour and whipping! 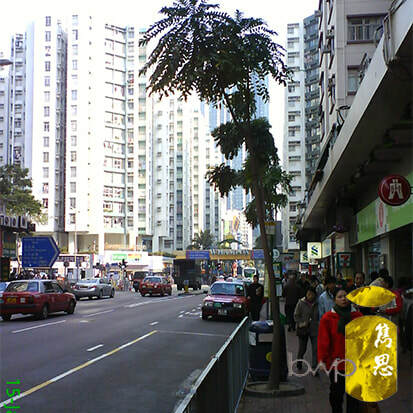 ​Street tree planting first took place in 1847 on Queen’s Road and continued through the following decades to most major roads. Even then, street activities, building works and road alterations proved a major threat to trees. 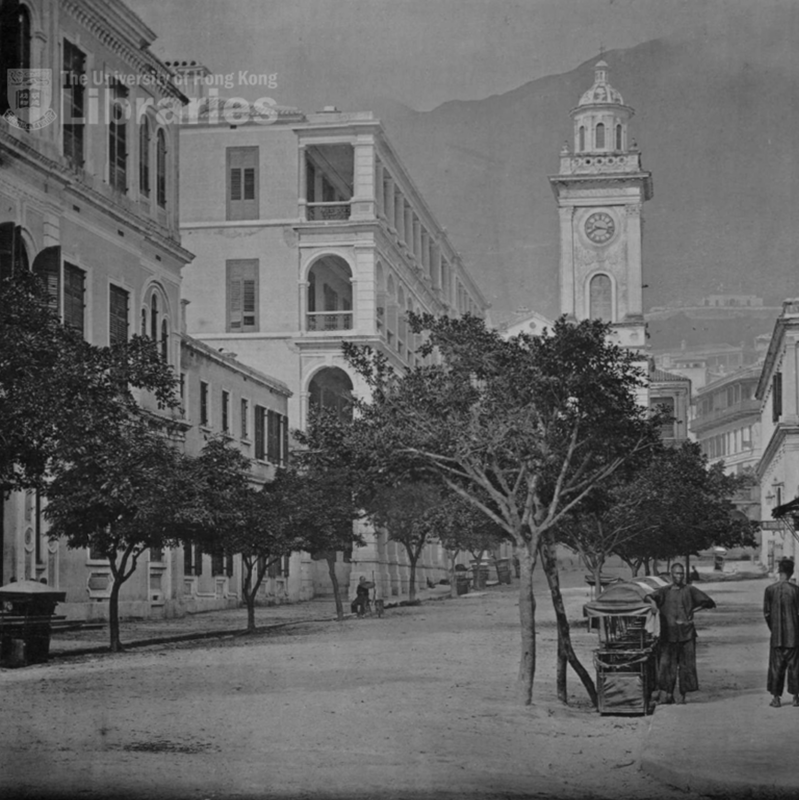 Photos show that just five years after planting trees along Queen’s Road West in 1855 only one was surviving and continual replacement was necessary. By the 1870’s afforestation of the hillsides was initiated, not only to supply timber but perhaps also to improve the air quality and provide amenity according to records. Tree matters fell under the authority of the Colonial Secretary and nurseries were established to raise trees from seed, resulting in the creation of plantations of several million trees by the end of the century. ​Theft and damage continued to be widespread however and even the appointment of forestry guardians failed to stop the need for the enactment of a “Tree Preservation Ordinance” in 1888 and for further legislation in 1910, 1917,1920 and 1937. ​Todays’ protection laws emanate from those above, covered under the Crimes Ordinance, Theft Ordinance, Summary Offences Ordinance and Public Health and Municipal Services Ordinance whilst specific provision is made in the Forest and Countryside Ordinance, Country Parks Ordinance and Antiquities and Monuments Ordinance. That’s a lot of different Ordinances to keep track off, perhaps helping to explain why there is often some public confusion. Are trees really affected by construction. They grow back don’t they? We all know trees have roots, but because they are hidden from view it is often forgotten how important they are. Ground excavation operations can seriously damage trees ability to survive but cutting off their water and food supply. A rule of thumb guide suggests that the aerial volume of leaf and branches in the tree crown are mirrored underground by root spread volume. The majority of roots are generally lying flat and close to the surface however. This explains why a pot plant’s growth is always limited by the size of its pot. Cut away the roots and the crown will be too big and die back. Trees are living things, so like us they are rather sensitive to change but can’t shout out about it. They don’t like flooding or changes in level around them, either higher or lower, which can easily cause drying out or suffocation. Compaction of ground meanwhile can make it difficult for their roots to spread and allow subsequent branch development. Expectations of tree growth and performance in terms of height and spread can always be anticipated in relation to the ground condition. That’s why so many street trees, planted in small pits and planters and surrounded by building foundations and compacted road base, deficient in reasonable soil provision, have no room for root development and then remain small and stunted year after year. Surviving but not thriving. 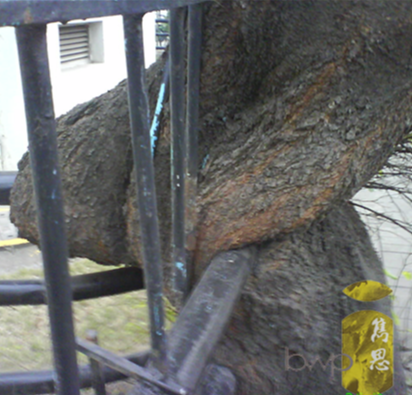 Damage to trunk and branches frequently occurs both on the street and on construction sites, often inadvertently by mechanised equipment and vehicles. The bark is a protective skin, puncture it and the tree becomes susceptible to temperature extremes, UV radiation, fungal and bacterial disease agents and harmful chemicals leading to ongoing problems and health deterioration. It’s not my problem. Who is responsible for trees? Since 1997, all land has become the property of the People's Republic of China. 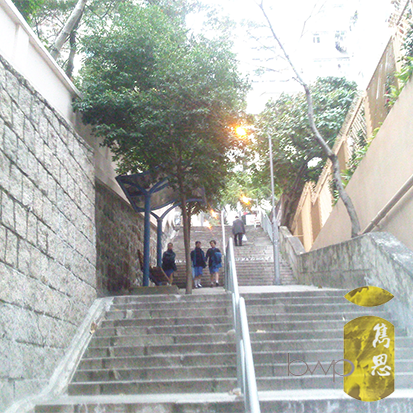 The HKSAR government is responsible for its management, use and development. Land considered as ‘private land’ is in fact leasehold property and anything done to the property, including to trees, is governed by the terms of the lease. 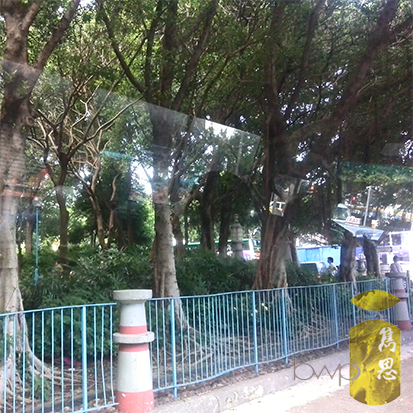 As such trees in Kong Kong are either managed on government land by the department responsible for the maintenance of that area or are required to be managed by the lot owner under the conditions of lease. 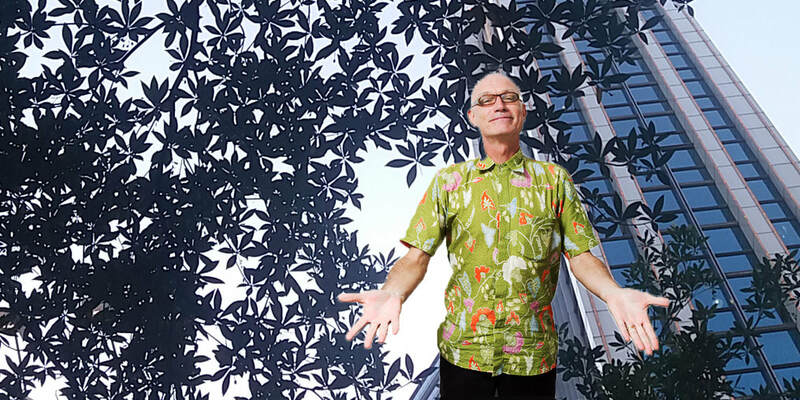 ​Lot owners need to check their lease conditions for a Tree Preservation Clause outlining restrictions, since older leases may not have such a Clause. Lands Department Lands Administration Office ("LAO") Practice Note No. 7/2007 - Tree Preservation and Tree Removal Application for Building Development in Private Proiects states that “lot owner(s) … have a responsibility in certain leases to ensure that trees are not unnecessarily felled or interfered with without … written consent. As such approvals to manage or undertake works impacting trees should be made through Lands Department. Further requirements for tree preservation are imposed via the planning system for new development through submission of a Landscape Master Plan, Landscape Proposal and/or Tree Preservation Proposals. For works affecting trees to be carried out on government land, Development Bureau Technical Circular (Works) No. 7/2015 - Tree Preservation sets out the policy on tree preservation from feasibility, planning, design, construction to post-construction stages of a development, the procedures for control of tree felling, transplanting and pruning in Government projects, and departmental responsibilities in handling proposals on tree preservation and removal. Meanwhile the Greening, Landscape and Tree Management (GLTM) Section was established under the Works Branch of Development Bureau in 2010. The Tree Management Office (TMO) is advocating more professional approaches to tree management among government departments and in the community at large and is tasked amongst other issues to focus on tree risk management, the tree complaint handling mechanism and emergency response arrangements. 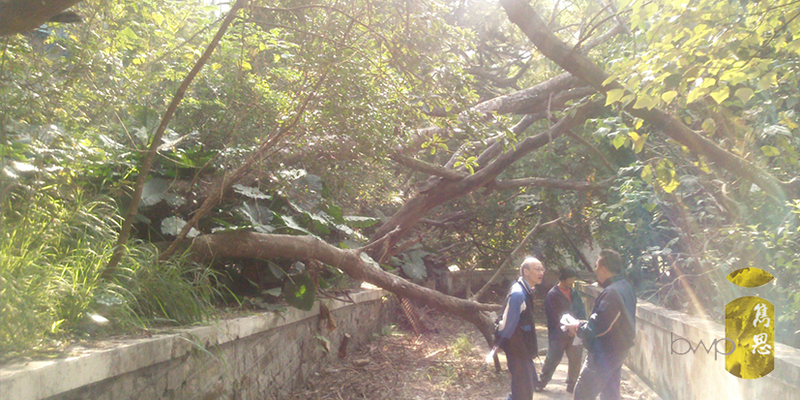 Information concerning tree care, maintenance and procedures on both public and private land is available on GLTM website at www.greening.gov.hk. Are all trees the same or should some be considered differently? 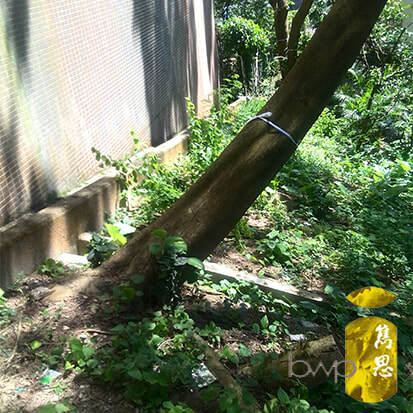 Looking at trees on our hillsides and roadsides, particularly in the New Territories, it can be noticed that large numbers of what might be termed plantation trees dominate. In the stages of afforestation through the 1970’s and 1980’s the planting strategy was to quickly grow extensive tree cover to provide visual amenity and prevent soil erosion against a backdrop of repeated landslides. Exotic tree species with hardy and fast-growing characteristics, many originating from Australia, were selected and widely used. After decades of extensive tree planting and forest coverage gradually increasing, the strategy and focus has recently moved to improving ecological value and biodiversity. Departments involved in the design of public works projects are now encouraged to specify native plant species wherever practicable, providing more diversity and offering food sources to local wildlife. Some of these are extremely attractive, colourful and even unique to Kong Kong. A large number of what are considered “Important Trees” have been identified on unleased Government land within built-up areas and tourist attraction spots in village areas. 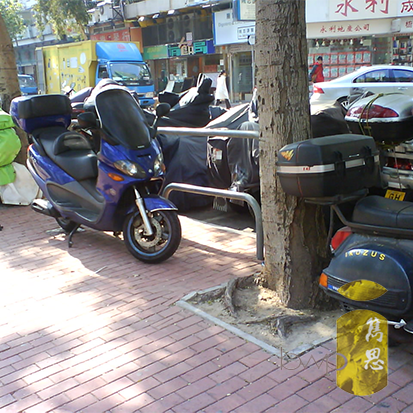 These are now documented on a public Tree Register, https://www.greening.gov.hk/treeregister/map/treeIndex.aspx and include Old and Valuable Trees (OVT) and Stone Wall Trees (SWT). ‘Registered Trees’ are subject to regular monitoring whilst problematic trees are also identified from annual Tree Risk Assessment undertaken. The planning and design of a project must take into account the need to preserve and avoid any damage to registered trees and precautionary measures are required to preserve and protect them during construction. We need to fell those trees. How many should we plant instead? The previously mentioned two circulars give a clear guide to compensatory planting. Both LAO 7/2007 and DEVB TCW No. 7/2015 state that in general a ratio of not less than 1:1 in terms of both quality and quantity is required. The ‘quantity’ however does not mean the number of trees, rather the aggregated trunk diameter. So all the existing trees need measuring and adding up into one big thick tree. 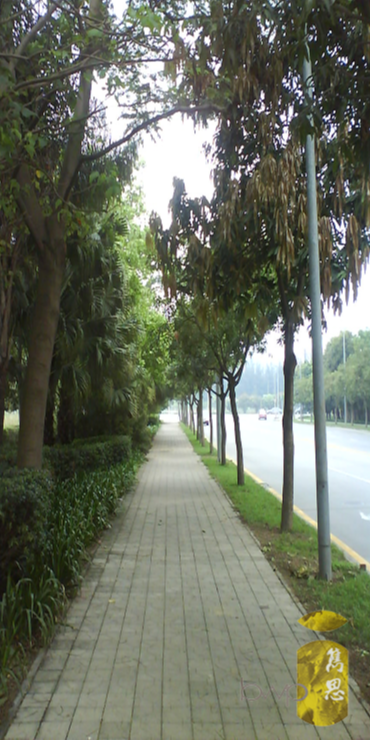 The quantity of replacement trees therefore can vary depending on the type of planting adopted in compensation. Meanwhile the quality is rather more subjective, based on the special characteristics of the trees, the site and the opportunities available. Sufficient space for growth needs to be provided. You can’t just squash in as many as you need. The right type of tree needs to be planted, and in the right place. Planting within the project lot is preferable. Planting outside the lot could be acceptable with clear advance arrangements provided. Deviation from the basic compensatory principle needs to be fully and thoroughly justified. 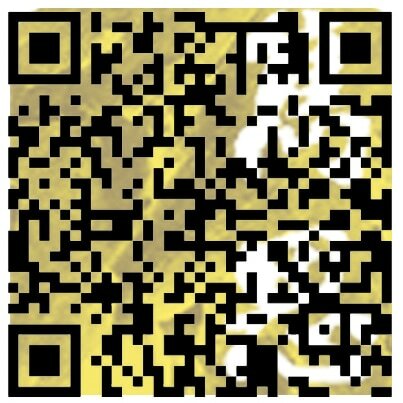 Who can help me! Its an emergency? ​At the end of the day there are a lot of factors come in to play. Get a professional to advise you! ​Members of the public may report problematic trees to the "1823" Call Centre. Operating round-the-clock and with the capability to receive public complaints and enquiries via telephone, email, fax or letter. Trees are assets rather than liabilities, but like all things need care and management to ensure they perform to their best. If you need help to deal with trees on your lot then you can always approach a Certified Arborist. 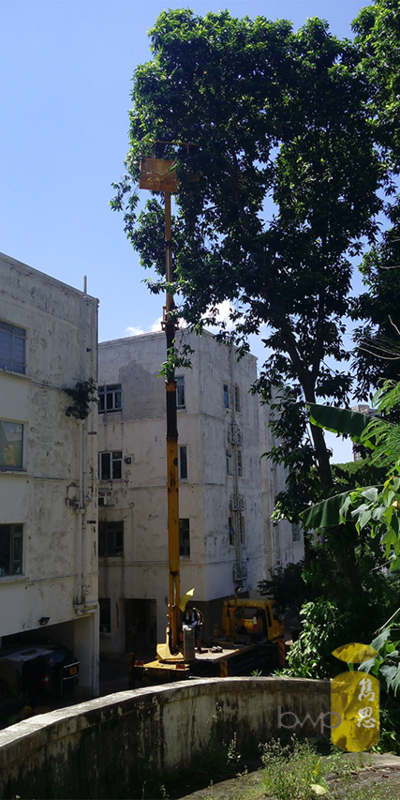 They generally offer on-site services including tree survey, risk assessment and typhoon preparation. ​If there is a Tree Preservation Clause in your lease conditions then you are going to need professional help for either small scale work or large scale development. 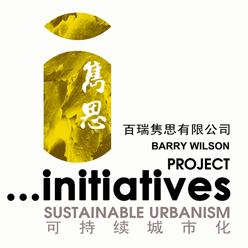 Submissions to and approvals from Lands Department will require the certification of a Hong Kong Registered Landscape Architect (RLA). For the sake of public safety, tree pruning or removal can first be carried out by the owner of a private lot if the tree within the lot is considered to pose an immediate danger to the public, but only after assessment by an RLA employed by the lot owner. Best to make that call first before taking any action.